Advertising dispersed within television shows is nothing new, but as advertisers, traditional TV networks, and streaming media services struggle to define how new mediums will operate (and profit), interesting things are happening. No longer as standard do we receive two-to-three commercial breaks during a 30 minute broadcast, where the show itself is typically about 22-minutes, leaving eight for commercial messages. In fact, with the advent of streaming and online services, the length of episodes is now all over the board and often there are no mandatory commercial breaks. Will there even be an expected or defined standard in another couple years? Netflix is currently dominating the paid service model and their shows last as long as they take, getting close to the traditional half or full-hour, but there doesn’t seem to be an exact episode length required. As there are no commercials, the actual runtime is a moot point. 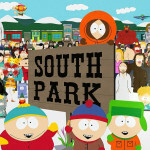 Watch an episode of South Park online and there are commercial breaks much like traditional TV, but you’re able to conveniently stream for free from anywhere, on almost any device; a seemingly fair trade. 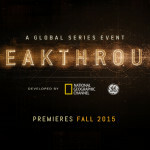 Then there’s an associate model, as is the case with National Geographic’s Breakthrough, which explores bleeding edge scientific innovations. While it airs on television (and can be streamed too), General Electric covers much of the production costs, as many of their technologies are related to the show’s core content. They’re not front and center as an advertiser, but by being associated, their brand is enhanced in a non-traditional manner. Then there are web shows, such as Jerry Seinfeld’s enjoyable Comedians in Cars Getting Coffee, which runs anywhere from 12-20 minutes per episode, and is gently sponsored by car manufacturer Acura. During an episode there are a few quick mentions of Acura, their logo briefly appears, and sometimes there’s even a car placed in a shot, but no dedicated commercial breaks to sit through; quite an interesting model with a good balance of content to sponsor message. 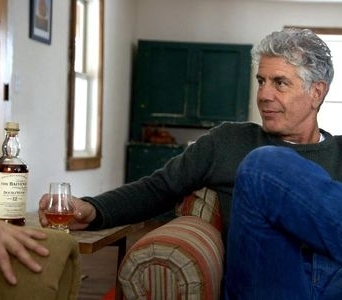 But it’s the emergence of web show Raw Craft, hosted by one of today’s greatest personalities, Anthony Bourdain, which brings one of the more intriguing models to the forefront. The show exists solely to promote a product, The Balvenie, a single malt scotch, via exploring great crafts-persons and the work they do. By showcasing these captivating people, The Balvenie becomes associated with unique, rare, and fine objects, and is thereby elevated. The show is highly enjoyable and the partnership a work of sheer brilliance.